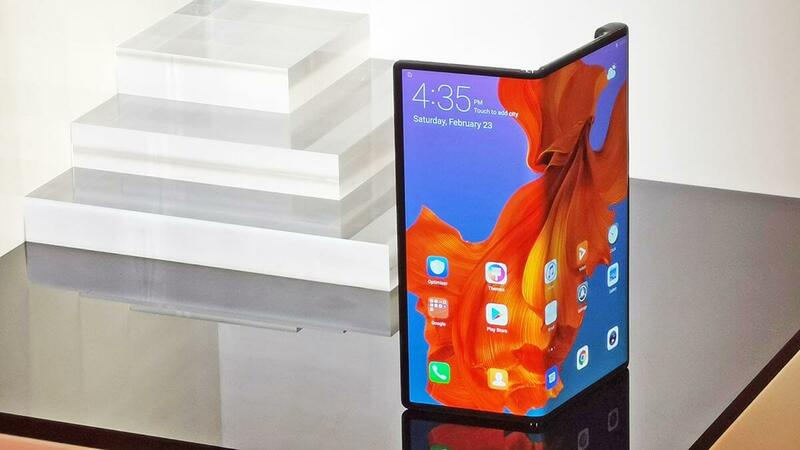 Behold the wonder of the Huawei Mate X – the foldable phone unveiled by Huawei at MWC 2019 that throws in 5G just for the fun of it. This is a seriously good-looking device with seriously fast upload and download speeds to go with it. When closed, there are screens front and back for you to use; when open, the Mate X sports an 8-inch display for all your multitasking needs. The grip on the side helps you hold it in tablet mode and holds the camera system too. Under the hood you've got a Kirin 980 processor, 8GB of RAM, 512GB of storage, and of course that Balong 5000 multi-mode 5G chipset. The large 4,500mAh battery keeps everything powered. It's going to cost you though – the Huawei Mate X is going to be priced at €2,299 (about £2,000) when it ships in summer.